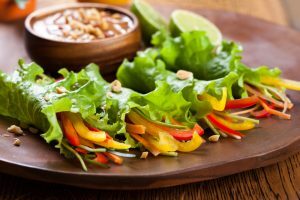 There are a host of diets to choose from today, and one that has been rapidly gaining in popularity is known as Freshology. This diet actually works by delivering food kits right to your door, making it a snap for even the busiest households to eat right and lose weight. As a dieter, you can determine how many calories you would like to consume each day so that Freshology will deliver the right meal plans that will allow you to stick to your weight loss goals. It’s that simple, so it’s no wonder that so many celebrities have tried Freshology and loved it. After you have told Freshology how many calories you want to ingest daily (anywhere from 1,200 calories to 2,000 calories), you will have freshly made meals delivered to your home. Each day, you will receive a delicious breakfast, an energizing lunch, a hearty dinner, and a satisfying snack. On top of that, you will even get a yummy dessert. Freshology is different from other meal services that deliver pre-made foods to your door. These meals are prepared just before they are shipped. So when you get them at home, all you have to do is heat them up for just a short period of time, right in your microwave, before digging in. This means that the food is fresher and will taste better too. All of the meals that are contained within the Freshology Diet are low in calories, so they will definitely help you along your weight loss journey. However, it should be noted that you will need to do your own homework when it comes to leading a healthy and active lifestyle that includes a workout routine that will burn even more fat and calories. Which Celebrities Love the Freshology Diet and Promote It? There are many celebs who have already tried the Freshology Diet and have achieved great results, which is why the diet has become increasingly popular amongst those who are looking for a quick and easy way to lose weight. Some of the celebrities who have made it a point to speak positively about Freshology include Ricki Lake, Pink, Chaz Bono, and Jillian Michaels. Not all diets are created equal, and not all meal delivery services are created equal either. If you want to follow a diet that has been endorsed by many celebrities, and if you want to have healthy meals delivered right to your door so you don’t have to worry about prepping the meals yourself, Freshology is definitely a good choice.